Thangi Uthla is a few hours drive from the village. 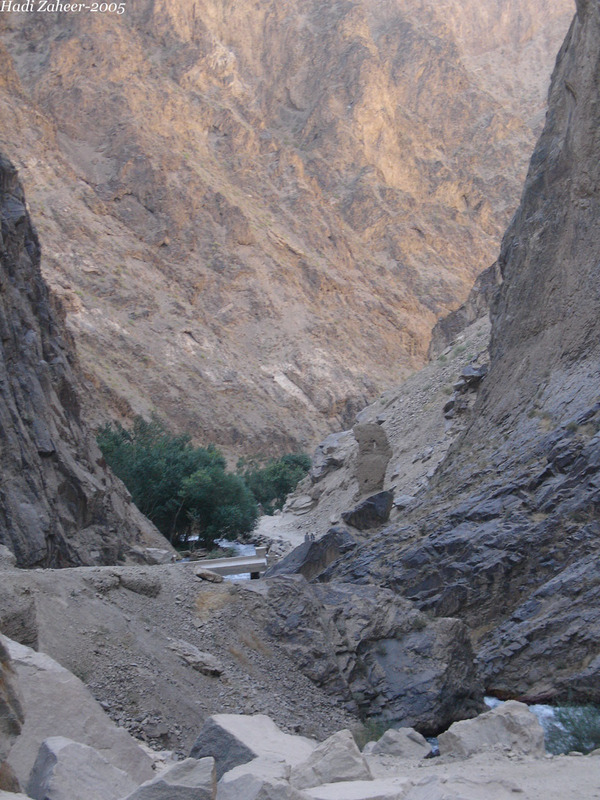 It is a narrow gorge that connects the mountains to the plains. People have been traveling through that gorge for ages, since my childhood, since the days of my forefathers and before. As far back as I can remember the Thangi has been infamous and bloodied. Even in the days before all the new wars, my parents told me stories about people who disappeared there or were found dead in the gorge. 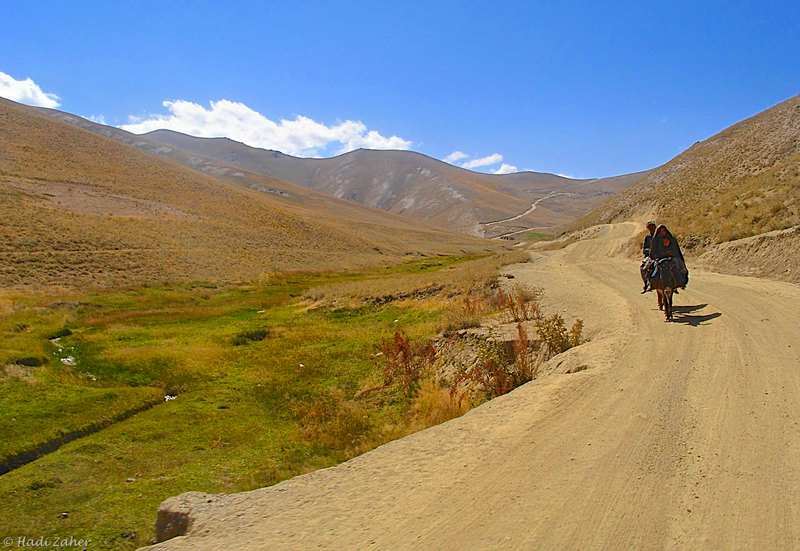 In the days before cars, people had to travel through the Uthla Gorge to get to Ghazni and Kabul. They traveled on foot, with their food and water on their backs, for over ten to twelve days. Some of them went to buy merchandise, food or medicine. Other men passed through the gorge to get to Kabul for their compulsory military service. If they didn’t show up for the compulsory service, the King’s poloos would arrest them, imprison them, and make the families or even the whole village pay a lot of fines. That was a fate more horrifying than risking your life on a trip to Kabul, and serving in the military for two years. Many many people, hundreds of people have been killed in that gorge. The trip to Kabul was like a death sentence. First they could be killed at the gorge. Second, the Kuchis could kill them on their 10 or so many days walk to Kabul. Third, they could be shot while doing their service in very far away place. Fourth, they could get sick and die without their families finding out for up to two years. Fifth, they could be killed on an equally dangerous return trip home at the end of their service. The farewells were always difficult because people knew that there might be no return. Some people who made it through, spoke of hearing cries for help, people screaming to be saved. At other times, they said they come across dead bodies. They found people’s clothes and shoes left on rock slabs and roads. God knows who the killers were. They were bandits, Kuchis, or both. That was a long time ago, but things have not changed much. Those killers are still there, and they still come out to harm people passing through the gorge. They take away whoever they want, demand ranson, or kill them. If the vehicles do not stop, they shoot and kill everyone in it. Now we have a name for those killers, they are the Taliban. We passed through the gorge on my trip last year. As we approached it, we saw the Taliban positioned near the entrance to the gorge. They live close by. They don’t even try to hide. Most of them weren’t even covering their faces. There is no government, or police or any other power to stop them. We spotted them from a distance, but did not stop or turn around. If we did, they would have chased us on their motorcycles. They were armed with Kalashnikovs hanging on their shoulders. Many Taliban sat in the shadow of a big rock. All of them carried guns. A couple of them approached the road, waved at the car and ordered the driver to stop. All of us in the car fell dead silent. The driver read his prayers; we all read our prayers. I was terrified. Those murdarkhor could decide the fate of our lives. One black-bearded white-turbaned Talib approached the car. He bent by the front window, and peeked inside. He saw that there were mostly women in the car. He turned around, and looked at the other Taliban sitting by the rock. They yelled something at each other in their own language. The one with the white turban then waved at the driver, as if instructing him to drive on. The driver read his prayers again, and began driving. We drove on and for a long time, no one said a word. We drove out of the gorge, and slowly, life returned to our bodies. 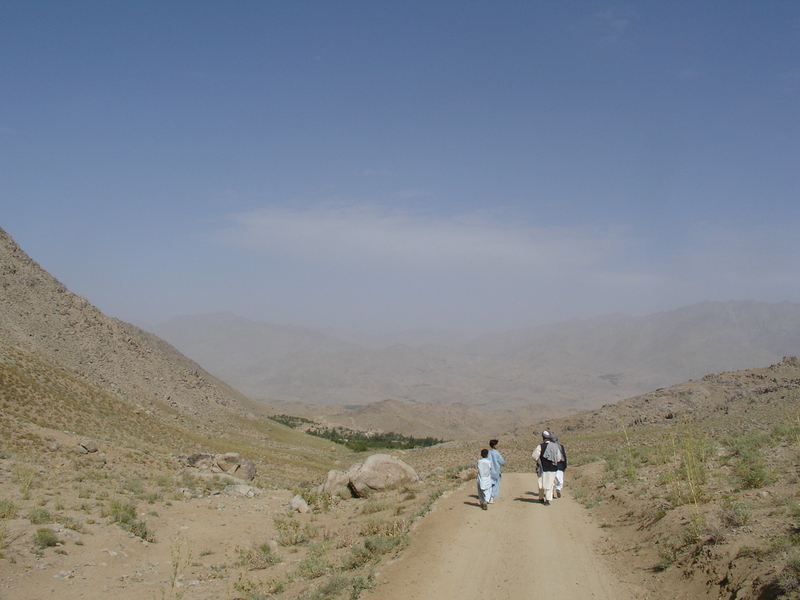 We began talking, and smiling because we had made it through, and were then in Hazara territory. Had there been many men in the car, they would have stopped us, searched the car, and interrogated the passengers. God knows what would have happened then. The driver had warned us that there might be Taliban on the road, but even then nothing prepared me for that amount of terror in my heart. If not through Thangi Uthla, the car would have had to go through Dasht-e Qarabagh. That is even more dangerous. On that road too, the Taliban stop the cars frequently. They also plant road-side bombs there, and blow up carloads of people. We are surrounded. Regardless of which road we take, we will be at the mercy of the Taliban. It was like that before, it is still like that. There was an old weapons depot at Qash-Oshtor (the Camel Slope) just above the village. The commander and his party kept stored their weapons there. The Pashi tribesmen interrogated the locals and found out about it. What they didn’t find out was that the depot was surrounded by a minefield. There was narrow pathway there but only a select few, who had already fled, knew about it. Armed Pashi men approached the depot location. They walked on looking for signs on the ground. One of them stepped on a mine. In a bang and a plume of smoke, he was left in pieces and dead. The rest of their men stopped in their steps, and retreated back into the village. Later in the day, they forced men of the village on to the minefield to retrieve the body. Among them was Ghulam Reza, who told me his story many years later when they too, became refugees in Pakistan. The Pashi forced a group of us to Qaash-Oshtor. They had their guns pointed at us, and threatened to shoot us if we didn’t do as instructed. I was forced on to the minefield to drag out the body. Aghay, I tried to step lightly on to the ground in front of me. Every step, I thought, would be my last. I stopped. They yelled that they would shoot if I stopped again. I walked past a splatter of flesh and blood, and reached his limbs. With both hands, I dragged him out. As I dragged him along the ground, I could hear jingles and pieces of jewellery fall out of his waistcoat. 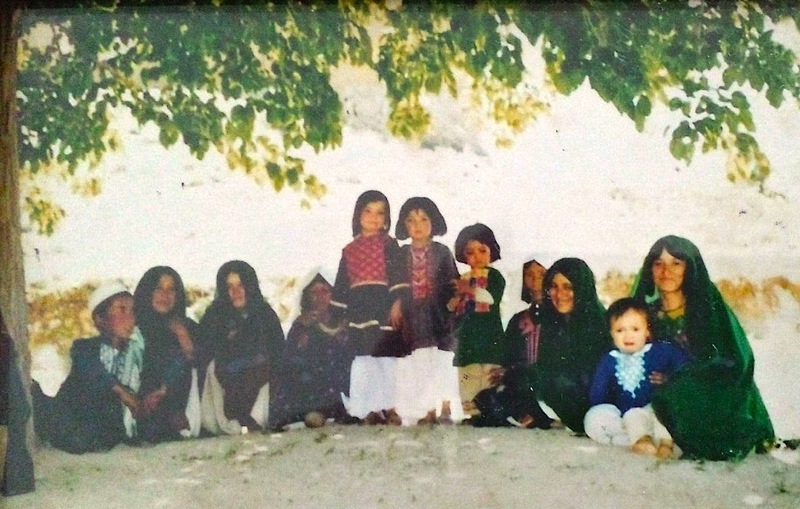 Those were women’s jewellery – perhaps stolen from the families in the village. We lived on the mountain-side in Darre-Ajay at the time. We had moved many houses over those few years but we were still new to the city and the country. We didn’t know many people, and we didn’t feel at home. The men went out looking for work, the rest of us stayed home. What else could we do! After all, we were strangers. One day your father and Moallem returned home earlier than usual. They spoke of a war and deaths, and said the commander had reaped what he had sown. In the market, they had run into Musa Shaltaye from Watan. Musa had a story to tell. The Pashi tribe captured Sang-e-Masha from the commander’s forces. The commander, his family and his men fled into the mountains. The Pashi came to the village, set the commander’s house on fire, captured some of his men, killed his cattle, and tore up his authority to shreds. All the while, the commander hid behind the large rock slabs on the top of Jaaba mountain above the village, and watched all of this unfold. The commander’s brother, a strong and bulky man, crawled up the Shikhi hill with a Kalashnikov in hand to attack the Pashi men. He was spotted and shot before he could get even close. He was killed there, and for 3 days his body lay out in the open. Mullah Haydar had ran down to the valley stream to hide. The old man died there of a heart attack. The shock and fear killed him. The Pashi then captured some villagers including your maternal uncle, and the commander’s right hand-men Mamay and Allaywar. Allaywar was captured as he tried to make his way up the Jaaba mountain with a bag full of food destined for the commander. Mamay was picked up from the village. The other men were released. Allaywar and Mamay were imprisoned taken all the way to Pashi. Mamay’s son fled to hide in Mamoor Sarwar’s house in Sang-e-Masha. Later they found the kid dead under the pile of blankets he had used to hide himself. In Pashi, the two prisoners Allaywar and Mamay were bound in chains and locked up in a bunker. They were roughed up, and denied water and food. It is said that the Pashi kept them starved and then, through the hole in the bunker roof threw down bits of bread. The guards also sprayed the bunker with salt powder to make the prisoners thirsty, and then gave them very little water. In the darkness of the bunker, the two prisoners were heard fighting over the little food and water they received. The two died starved in that bunker. First, one died, and then, the other. Their chains never came off. When their bodies were returned, they were said to be unrecognizable, the chains embedded in their flesh. They were buried along with the chains. What the Pashi did was horrifying, but theirs was revenge for what had been done to them. In the weeks before they attacked, the commander’s men had ambushed a group of Pashi men. The Pashi commander Chamran had been wounded and chased into the hills. He had been found in a cave and shot dead. Other Pashi men had been imprisoned and brought to Dolna by the commander’s men. Lucky for them and unlucky for the commander, the Pashi men had managed to escape at night, and had found their way back to Pashi. The Pashi tribe had been enraged by what had happened. Furious, their elders had mobilized their man to avenge their men and commander. And avenge, they did. In my days, people had many children. Some children died. More sons meant more helping hands, more people to work and earn for the family. Bechara girls were unwanted, uncelebrated at birth and unappreciated in life. People preferred to have as many sons and as few girls as possible. I had 10 children. I lost one. My first child was a son. I lost him when he was twelve days old. He turned pale yellow and then passed away. My oldest is Gul Zewar. She has 8 daughters, 2 sons, 36 grand children, and 6 great grand children. Her great grandchildren are my great great grandchildren. Then I had Rubaba. She has 4 sons, 3 daughters, and 14 grandchildren. After her, there is Habiba. She has 6 daughters, 3 sons, and 11 grandchildren. My fourth daughter is Hafeeza. She has 6 sons, 3 daughters, and 4 grandchildren. My fifth child is a son Hassan. He has 4 sons, 2 daughters, and 1 grandchild. Then I had Bakhtawar. She has 5 daughters, 4 sons, and 4 grandchildren. After her is Sakina. She has 6 daughters, 3 sons, and 11 grandchildren. She lost four others. Then there is my youngest daughter Zubaida. She has 3 sons and 1 daughter. My youngest child is Nabi. He has 3 sons. One day when I am gone, if every child, grandchild and great grandchild of mine prays for me once, that will be sufficient for me. That’s all I ask for.